Veterinary Herbal therapy offers a fresh, safe, effective approach to the treatment of your pet's medical conditions. Chinese Herbal formulas are often used in conjunction with acupuncture. Herbal treatment is also an option for some pets who have been unresponsive to traditional Western drugs. They are also a more natural choice for pets who cannot take certain types of drugs due to allergies, side effects, or drug resistance. ​When we say "herb", what we are really referring to is any natural plant substance. In Traditional Chinese Veterinary Medicine (TCVM), that definition would be extended to include substances of mineral or animal origin. For example, a popular and highly effective herbal "calmer" utilizes substances such as pearl, amber, and oyster shell in addition to plant substances. 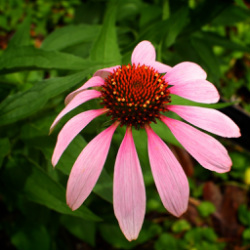 My patients benefit from TCVM herbal preparations that have enjoyed centuries of use. Many forms of herbs are available: tablets, capsules, and freeze-dried herbal formulations; tinctures; and even topicals. This variety of formulations allows me to find the preparation that will be easiest and most appropriate to administer to your pet.